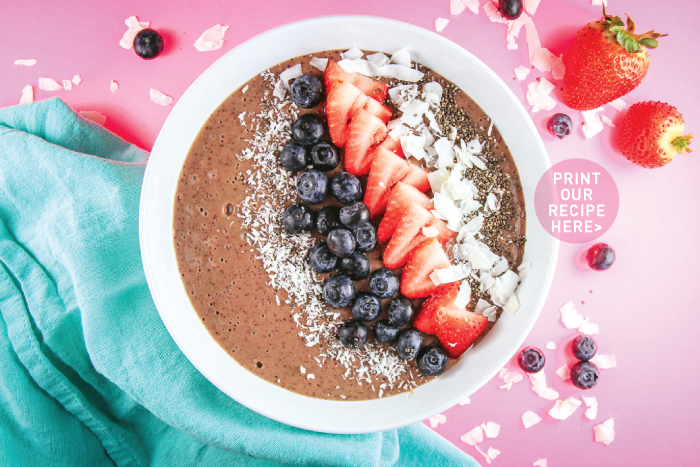 This smoothie bowl is so easy to make! The flavor is very fruit-forward (you don’t even taste the spinach! ), and the texture is creamy and refreshing. 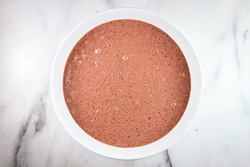 The heart-healthy ground flax seed makes this smoothie bowl very filling, as well! 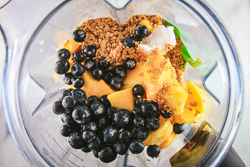 In a powerful blender, combine all of the smoothie ingredients and blend until smooth. 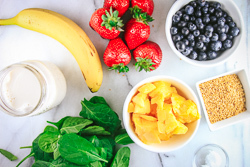 Pour the smoothie in a bowl, and top generously with blueberries, strawberries, chia seeds, and shredded coconut.